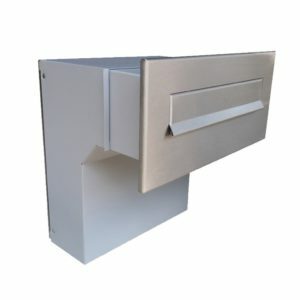 A through the wall post box is probably one of the most complicated letterboxes to manufacture and then fit. 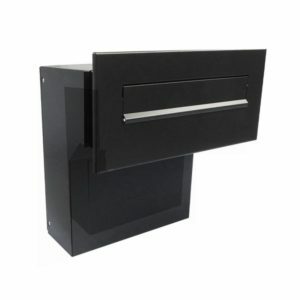 It could be built into an external wall on your property or directly into your house wall, allowing you to retrieve your mail from your through the wall post box without opening the front door. 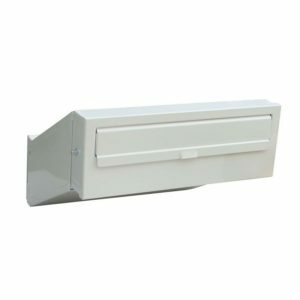 A typical through the wall post box would have a telescopic design like our SM, SMN and Muretto through the wall post box models to accommodate different depths. 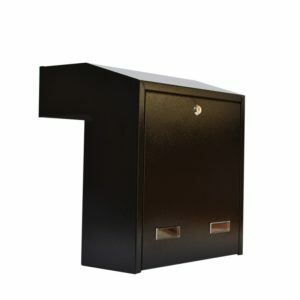 In most cases, your mail would remain inside of the mail chute and be retrieved through the lockable back door. 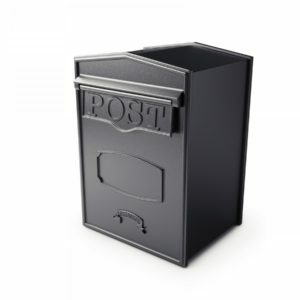 All three of our through the wall post box products are almost the same. 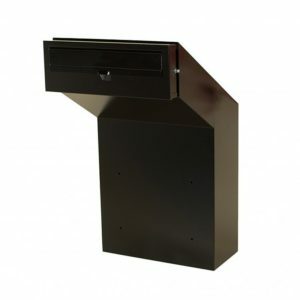 They have the same dimensions and capacity, but different finish styles and additional features. 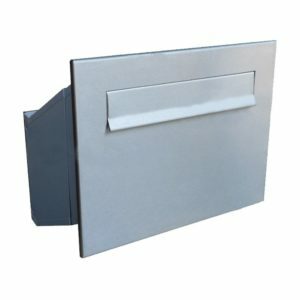 The SMN through the wall post box has a stainless steel front and back and a galvanised steel powder coated mail chute. 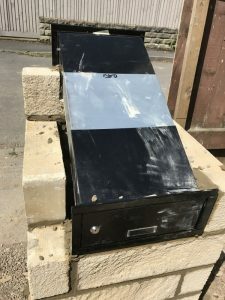 The SM through the wall letterbox post box is entirely built from galvanised steel and then powder coated with a thermal process to ensure high rust resistance. 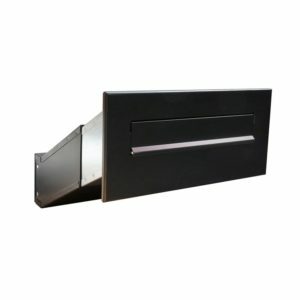 Finally, our Muretto through the wall letterbox is a spitting image of the SM, but comes with front and back trim to allow you more flexibility when deciding how to finish the area around the wall opening. 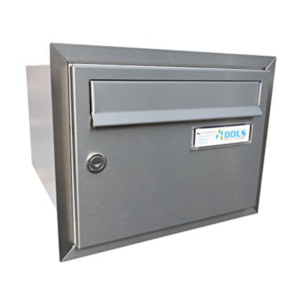 Traditional through the wall letterboxes are not known for their high capacity, and they would hold A4 letters when the mail chute is set to a depth of over 33 cm, but if you are a business or just receiving lots of mail, it is worth considering different options. 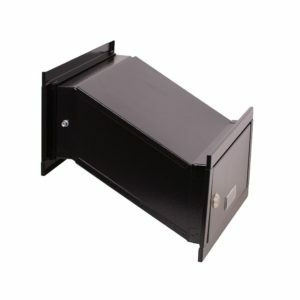 So, we have introduced our Rolle high capacity through the wall letterbox. Its design began with customer feedback that was analysed by our manufacturer. After a long design process, we proudly introduced Rolle to the UK’s market and it was a great success. 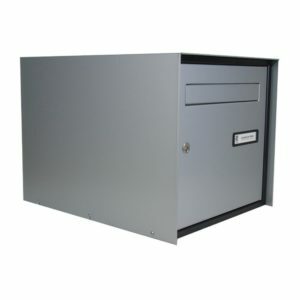 High security – mail stays in the collection box and it is practically unreachable for someone outside of your gate or house – as well as ample storage space, made it an obvious choice for businesses and private clients with larger amounts of mail. 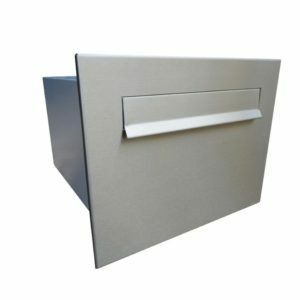 It is constructed from the same high quality galvanised steel and finished with a thermally applied powder coated layer. The journey does not end here: we are constantly working on improving our post boxes and creating new designs to ensure we can provide our customers in the UK with a choice of only the best through the wall letter boxes out there. We now have a much larger variety of through the wall post box products. 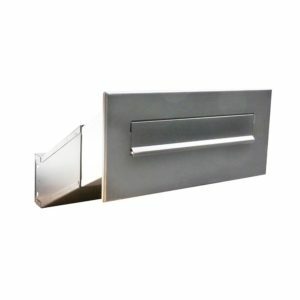 These include new materials such as our LFD-04 through the wall post box this popular post box comes in a polished stainless steel finish and builds on the already popular telescopic feature that has become so prominent in our through the wall post box products. 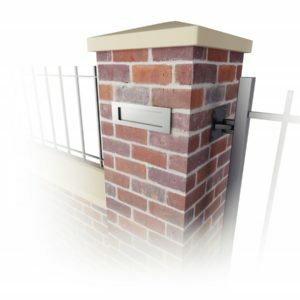 If you decide that a through the wall letterbox is not suitable for your property, please check our gate mounted post boxes as an alternative.